Omar, who is one of the first two Muslim congresswoman ever elected along with U.S. Rep. Rashida Tlaib (D-Detroit), drew fire for two tweets on Sunday. She has since “unequivocally apologized” but has not deleted the tweets, as of this story’s publication. The first tweet was a response to a tweet from the Intercept’s Glenn Greenwald, a critic of Israel who also frequently defends President Trump over the federal investigation into his campaign’s ties with Russia. Greenwald slammed U.S. House Minority Leader Kevin McCarthy (R-Calif.) for “threatening punishment” for Omar and Tlaib for their Israel critiques. Omar’s response was: “It’s all about the Benjamins,” aka money. 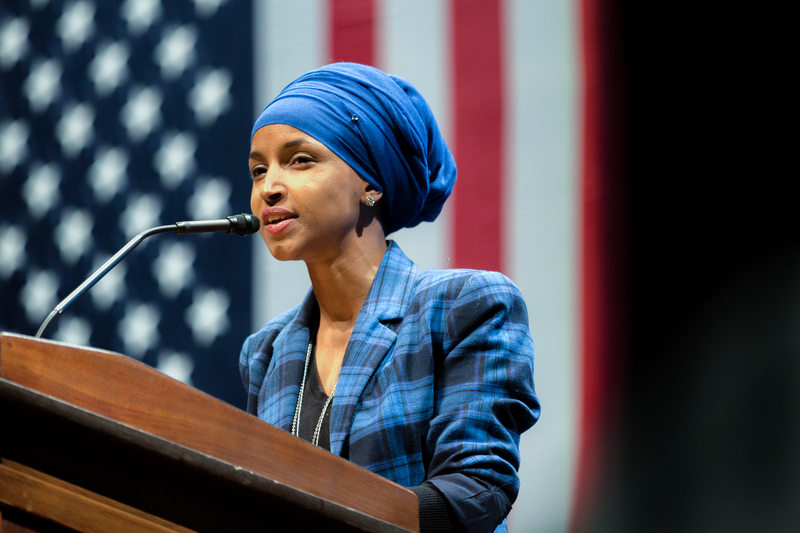 She doubled down with a subsequent tweet responding to an editor of the Jewish magazine Forward who asked who she thinks is “paying American politicians to be pro-Israel.” Omar responded, “AIPAC!” That’s the American Israel Public Affairs Committee. On Tuesday afternoon, Levin issued a statement absent any red-hot rhetoric. “I am upset and concerned by the use of an anti-Semitic trope, especially by a Member of Congress,” he said. “We must loudly reject any such expression of anti-Semitism, like other forms of bigotry. Silence is acquiescence and acquiescence is complicity, as history has taught us too many times. In response to criticism, Omar issued a statement on Tuesday, but blasted the “problematic role of lobbyists in our politics. “Anti-Semitism is real and I am grateful for Jewish allies and colleagues who are educating me on the painful history of anti-Semitic tropes,” Omar said. “My intention is never to offend my constituents or Jewish Americans as a whole. We have to always be willing to step back and think through criticism, just as I expect people to hear me when others attack me for my identity. This is why I unequivocally apologize.